Underbody scraperAS2507 is the truck mountable snow plow that can be used both in winter and in summer. 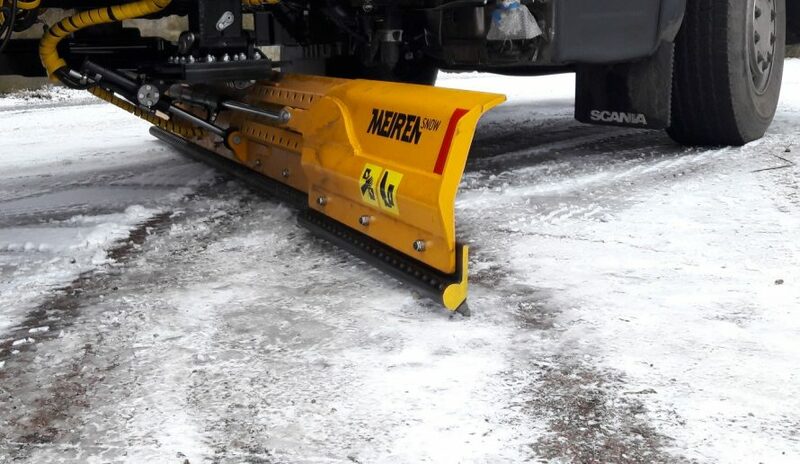 The plow can be equipped with hydraulically extendable side wings to achieve the greater span. Hydraulically lifting system and the side wing on the left is optional. 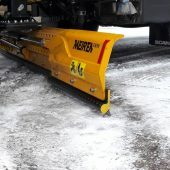 Underbody scraper AS2507 is a snow plow with steel moldboard, which has very durable construction, designed for attaching it to the vehicle. The plow can be used throughout the year. 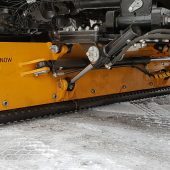 In summer the plow can be used in road construction and maintenance as you can use it to distribute fillers and level soil and new road surfaces. 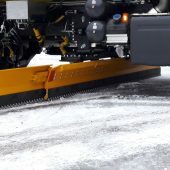 In the cold season you can use the plow for various winter road maintenance jobs: shifting snow and sleet, removing ice, snow compression. 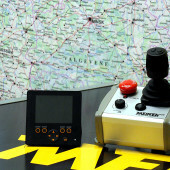 The scraper is made to order: either non-rotated or hydraulically rotated. The hydraulically rotated scraper is equipped with the right and left-hand telescopic extensions for the hydraulic operation to achieve more working width. 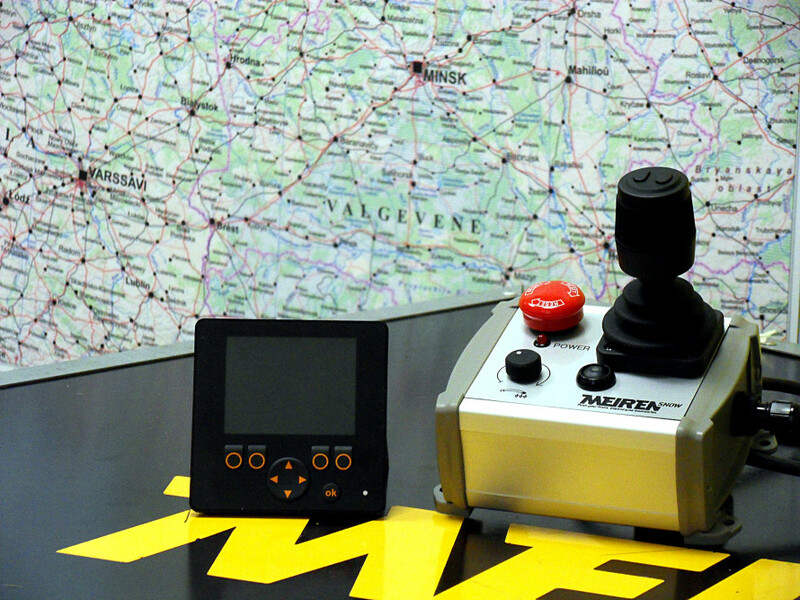 You can adjust the plow height in relation to the treated surface either hydraulically or mechanically. 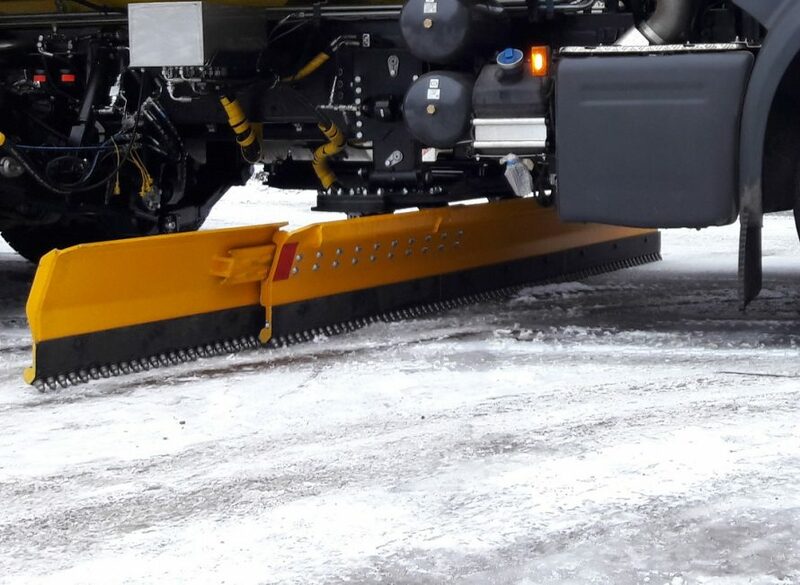 As the plow is equipped with hydraulic batteries which work as the shock protection mechanism, the underbody scraper can be also used on city streets, because the moldboard moves backwards when hitting an obstacle.